This week, Arians will feel extremely emotional for their love life. You might feel that excessive work load is acting as a barrier in your personal bond. Any senior might propose you. Beginning of the week will keep you emotional. You might meet your sweetheart at any friend’s place. Middle of the week will intensify love & romance. Make sure to avoid stubborn attitude in the weekend. Though this week looks favorable for your love life, but journeys will keep you and your beloved apart. It would be good to travel or spend time together in the beginning of the week. Middle of the week is pleasant, but some sort of confusion might drop the intensity of love. Weekend looks a bit unfavorable. Don’t suspect on your partner during this time. Don’t let your loyalty decline this week. Hiding things from your sweetheart can spoil the bond; hence, don’t keep secrets. Any work might keep you away from your beloved. You and your partner will feel like talking to each other in the beginning of the week and eventually you will. Mid of the week is joyful and romantic. You will feel happy. However, things will change a bit during the weekend, act carefully. You will see multiple faces of love this week. To get good results, you need to act smart. Emotions will swirl on you in the beginning of the week. Your partner will understand your feelings. You might fall in love with someone at your educational institute. Middle of the week will be excellent for romance, provided you keep a check on your words. If you are in love with your neighbor, be very careful during the weekend. This week is a dose of mixed emotions; sometimes doubts, sometimes arguments and extreme affection at last. Beginning of the week may keep you away due to some reason. Stay connected through phone; however, don’t over use it. You will remain emotional in the mid of the week. Avoid arguments in the weekend. Virgos, this week is quite good for love & romance. However, acting stubborn can create problems; hence, avoid this attitude. You might feel that your partner is not interested, but it is nothing more than just an illusion. However, beginning of the week is very good. Your partner will love you unconditionally. You might stay away from each other in the mid of the week. Weekend looks average. This is the week when love life will remain stable. Though things will remain pleasant in the beginning of the week, but workload might not allow you to devote sufficient time to your partner. However, all will remain well, if you are in a relation with a colleague. Mid of the week will improve things further. But, caution will be required in the weekend. Scorpions will enjoy this week, if they keep doubts and suspicion out of their love life. Try visiting any religious place in the beginning of the week. Increase the level of trust in your bond. Along with love, respecting your sweetheart is also very important in the mid of the week. If you are in love with a colleague, focus on love as well as on professional life. Be in your limits during the weekend. This week is not that good for love life; hence, stay restricted and maintain a balance in your love life. Don’t argue and take care of each other’s emotions & health. The week might begin on a less favorable note; however, you will enjoy a great time in the mid week. Results will come as per your deeds in the weekend. Overall, things will go great if you act affectionate and things will spoil, if you put doubts. Though this week is good, but stay away from sensual thoughts. Your relation might get spoiled if you don’t follow this advice. Beginning of the week is extremely good. Marital life will bloom. Mid of the week is not favorable; hence, be restricted. Weekend will be comparatively better. This week is favorable for love life of Aquarians. However, arguments or some distance is possible. Beginning of the week is good, make sure not to create mess over issues. Middle of the week is excellent. You will enjoy love & affection. Married couples will enjoy this phase even more. However, things might not remain that good in the weekend. Follow a restrained behavior. This week looks favorable for personal life. Emotions will increase in the beginning of the week. You might fall for someone at your educational institute. You might fall in love with someone younger than you. It seems that you will take risks in the mid of the week. Or you may indulge in an argument with someone, due to your love life. Stay away from doubts in the weekend and take care of your health. Arvind Kejriwal, the man behind Aam Aadmi Party is all set to try his luck for the title of ‘Delhi’s Chief Minister’ once again. How much favorable his decision is? Will he shine out this time or will do nothing more than babbling like last time? Discover the answer with astrologer ‘’Pt. Hanumman Mishra’’. Arvind Kejriwal was born on August 16, 1968, i.e. 16-08-1968. Therefore, his Mulank is 7, Bhagyank is 3 and Namank is 4. Was 2013, a favorable year for Arvind Kejriwal? These results implies that 2013 should have given favorable results to Arvind Kejriwal. The result was also the same and 2013 proved favorable for him. Was the month of December 2013 favorable for Arvind Kejriwal? According to these calculations, the month of December 2013 was not fully favorable for Arvind Kejriwal. The date of election is indicating neutral result. Hence, as per these calculations, the results are neither favorable nor unfavorable. Yes, it actually happened and the results were quite average. The total of date of result of election is 8. This shows that the date of result of elections is indicating neutral result. Hence, the results are neither good nor bad. Again, this was the case and results were average, so average that it was impossible to form government. The total of date of taking oath is 1. This means that the date on which Arvind Kejriwal took oath was not favorable for him. That date was extremely unfavorable. Though it was a major achievement practically, but its fate was not certain. This was actually correct and his oath didn’t last for long. The total of date of resignation is 5. When he resigned, he expected some very positive miraculous results; however, the results were neutral. Though people believe that this move of Arvind Kejriwal harmed them, but if we talk about calculations, they neither got benefited nor harmed. He is still at the same place from where he started his journey. 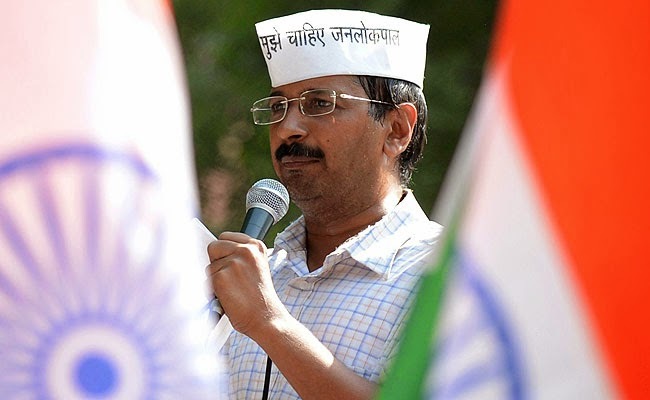 Is 2015 favorable for Arvind Kejriwal? This shows that year 2015 should bless Mr.Kejriwal with neutral results. Let’s analyze this result using some other methods. By adding Mulank and Varshank we get, 7+8 = 15 = 6. This number shows success. Number 6 is friends with both Mulank 7 and Namank 4; whereas, it shares neutral bond with Bhagyank 3. If we calculate the result on the basis of date and month, according to the rules, the result should be calculated using 16-08-2014 and not before 16-08-2015. As, 1+6+8+2+0+1+4 = 4; this number represents success after hurdles. However, number 4 shares inimical bond with Mulank, neutral bond with Bhagyank and friendly bond with Namank. If we calculate using 16-08-2015, we get it is 1+6+8+2+0+1+5 = 5. This number too indicates success, but has neutral bond with Mulank, Bhagyank, and Namank. Overall, this year also don’t point toward any certain result. The total of February 2015 is 1. Here also the results are not favorable. The total of date of election is 8. Therefore, date of elections is indicating neutral result and not showing any concrete result. The total of date of election results is 2. Therefore, the date of result of elections is also not giving any positive indication. Even if the political surveys are showing Arvind Kejriwal as the most popular Chief Minister of Delhi, but his battle for the position of Chief Minister is going to be very difficult. What Numbers Say For Aam Aadmi Party? Namank of Aam Aadmi Party is 6 and total of year 2015 is 8. 8 and 6 are friends with each other. Therefore, this year is going to be favorable for Aam Aadmi Party. If we look for 6+2+0+1+5, its total is 5. 8 and 5 are also friends with each other. This also shows compatibility. If we look for February 2015, total of 2+2+0+1+5 = 1. 1 considers 6 as its enemy, which is not favorable. If we take a look on the date of elections, i.e. 07-02-2015 or you can say, 7+2+2+0+1+5 = 17 = 8. The total of date of election is 8. 8 and 6 are friends with each other and this shows favorability. The date of result of election is 10-02-2015, i.e. 1+0+2+2+0+1+5 = 11 = 2. This shows that the the total of date of result of election is 2. 2 considers 6 as neutral. Therefore, this year if favorable for Aam Aadmi Party, but not this month. Date of election is favorable, but date of result is neutral. Therefore, there are good chances of success for Aam Aadmi Party. If we analyze things comparatively, it seems that the stars of party are stronger than Arvind Kejriwal. IN other words, the stars of party are quite fortunate, but luck of Arvind Kejriwal is not strong enough to let him enjoy the the throne of Delhi’s Chief Minister. As he is the leader of the party, so it is important to look at his stars as well as the stars of the party. But, after seeing his stars it seems that like last time, this time also his party will not get majority. Last but not the least, if Aam Aadmi party and Arvind Kejriwal gives someone else the chance to stand for the position of Delhi’s Chief Minister, the chances of making government for Aam Aadmi Party will increase a lot. But, for Arvind Kejriwal, the title of Delhi’s Chief Minister is miles away. 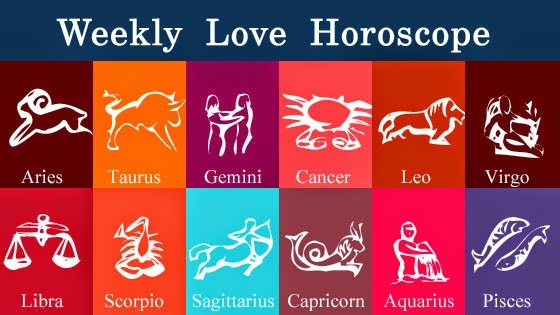 With this weekly horoscope for January 26, 2015 to February 1, 2015, you will get to know how this week is for you. Read your ascendant sign based predictions written by ‘’Pt. Deepak Dubey’’. Sarvartha Siddhi Yoga: From Sunrise to 11:10 on January 27, from 11:08 of January 28 to sunrise of January 29. Avoid anger and stay cautious from your opponents but don’t give any reaction. Meeting with a very important person is possible who may help you in future. Spend time with your mother. Time is average for financial matters, don’t start anything new and if you are in job try to adopt compromising ideology. Businessmen will get some good opportunities but, in the weekend, so be patient. Pregnant ladies are required to take care of themselves. Drive carefully and if you are to a far-off place, check your vehicle properly, otherwise problem is possible. Remedy/Treatment: Donate some milk, curd or rice to any religious place. If you are associated with politics or social work, then this week is really good for you. Time is favorable for export-import, foreign business affairs and travelling abroad. Planets are indicating that this week you should try to stay away from things that solely depend on luck. So, stay away from gambling and making investments. Constant chances of disputes are arising with life-partner, so stay calm and spend time with him/her. Take care of your essentials at home. Your siblings are likely to support you in any important matter. Remedy/Treatment: Worship Lord Ganesh for increasing luck. Offer him milk and scutch grass. Also, offer green fodder or bread to cow on Wednesday. A great combination of luck and hard work will arise this week. If you were waiting for the completion of a task from a long time, then your wait will come to an end. Support of any female native will increase the chances of success. Happiness will come from children and if you are taking part in any competition, then your hard work and luck both will support. Jobseekers will get positive results, their efforts will help them in getting a better job. Overall, this week is going to give rewards to those who maintained their patience and calm in opposite situations and worked honestly. Remedy/Treatment: Time is rewarding you, so maintain your consistency. Stay cautious from hidden enemies. This week you will be able to destroy all your disease and enemies. Any long going dispute will come to an end and it is very likely that results will come in your favor. Despite this favorable time, enemies will rise and disturb you constantly. Some impatience and hostility will also rise in you, you should try to control them. Avoid doing new experiments and investing bigger at workplace. Income will come by your hard work but, not by luck. Expenses will also occur due to disputes or health problems. Overall, a balance will remain there between income and expenses this week. Remedy/Treatment: If you are searching for a job, then offer water to Sun and chant Gayatri Mantra. An excitement will remain there in your thoughts, you should stay away from anger. Although financial crisis will be there but, this problem will not come to an end by taking tension or getting angry, in fact it will make it difficult for you to take any decision. A long distance journey is very likely which will provide both sweet and sour experiences. Some tensions are possible from children. Time is constantly unfavorable for financial matters, so stay cautious. You may take some big and wrong decisions by getting influenced from someone but, this may harm you in future. Time is good for education and competition. Jobseekers are likely to get some good news. Remedy/Treatment: Offering green fodder to cow for whole of the week will be very favorable. Offer water to Moon regularly for balancing its effects. This time is very good for students, if preparing for any competition then chances of getting success are very high. You may go to a pleasurable journey with life-partner. Also, if you are craving for a child from a long time, then you won’t get any favorable time than this for trying for a baby. Time is average for financial matters, you may start something new. Stay careful while travelling and take care of your valuables. Legal matters are likely to stretch for some more time, so don’t take tension but, also don’t apply any kind of carelessness. Remedy/Treatment: Offer grass to Lord Ganesh, chanting of “Om Gan Ganpataye Namah” would be extremely favorable. Time is very encouraging for love birds. Those who want to do a love marriage, their wish will also come true. Any eye problem is possible to your child, so take care. You will feel happy after finding any lost item. Time is not favorable for competitions, you have to try harder for getting success. Any sad news may come from relatives. Your interest will increase in wrong doings due to company of bad people, you have to think yourself what is right or what is wrong. 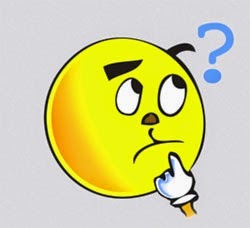 Don’t take any decision which will become the reason for embarrassment. Remedy/Treatment: Avoid company of bad people, otherwise problems are possible. Make donations for pacifying Mercury, offer any gift to a girl. Flow green lentils in running water after wrapping in a green cloth. This week expenses will take place on a faster pace than income. Don’t let opposite situations overpower you, you have an amazing capability to do odds in your favor, use that, give time to yourself and take care of your health. Don’t do anything in a hurry. Don’t go anywhere on sudden invitation, look for your convenience and time before going anywhere. It is likely that someone may try to harm you or you may yourself get into any trouble unnecessarily. If it is very important, either inform someone closer or take someone along. Don’t get into the influence of anyone for earning more. Remedy/ Treatment: Donate a red cloth, gram dumplings and grams to any religious place, avoid wearing black and green colored cloths. An amazing combination of hard work and luck will arise this week, that means luck will support a lot this time. Some of your decisions will produce favorable results in the future. One thing that you need to take care about is your health, if any long-going disease is there it may increase this time, so take care in advance. Females will support you a lot this time, money matters will produce average results. If you were looking to buy any luxury item or vehicle for yourself from a long time, your plans will get fruitful results this time. Success is likely to come in legal matters. Remedy/Treatment: Chant Maha Mrityunjai or Rudra Gayatri Mantra and wear clean clothes. You will enjoy your work and desired results will also come in future. You don’t give up in any situation, nobody can change or shake or decisions. This time you will do your work with great determination and honesty, results will also be favorable and positive. You are advised to listen to the needs and problems of your life-partner carefully, also try to spend a good time together. This will let you enjoy your married life to the fullest and decrease unnecessary stress and tensions. Children will support you and you will get the blessings of your mother. Remedy/Treatment: If you are into any kind of addiction, abandon that because it will not be favorable for your future. Take curd in the day time. This week either your life-partner and affiliates will not support or support half-heartedly. This will prevent you from going to any conclusion. Two types of opposite situations will arise for you this time, first is of not getting support from near and dear ones and second is facing opposition from these people after getting failure. This situation will create a weird mental complication for you. So, you are advised not to disclose your weaknesses in front of anyone, no matter how close he/she is to you. Also, don’t let anyone know that you are upset or helpless. DRop the idea of changing job for some time. Remedy/Treatment: Offer Kheer to children on Monday. Offer Bael Patra to God, it will remain favorable for you. Sleep properly and go for entertainment. Stay cautious about your health, take special care of the area of lower back, some blood related diseases may trouble a lot. If you were trying for loan from a long time, then you may get it now. Health problems of any female native of the family may disturb you. Time is not very favorable for travelling abroad, so try to delay it a bit, if not very important. Some mental stress is possible from children, especially from your son. His demands will increase a lot and his behaviour will disturb you. Love-birds are advised not to rush in anything, otherwise problems may occur in your relationship. Remedy/Treatment: Donate wheat flour to any religious place for mental stability of your child. Offer stationery items to any needy or poor child. Today is January 26, i.e. the Republic Day of India. On this date Indian constitution has came into force in the year 1950. This day is celebrated as a national holiday all around the country. 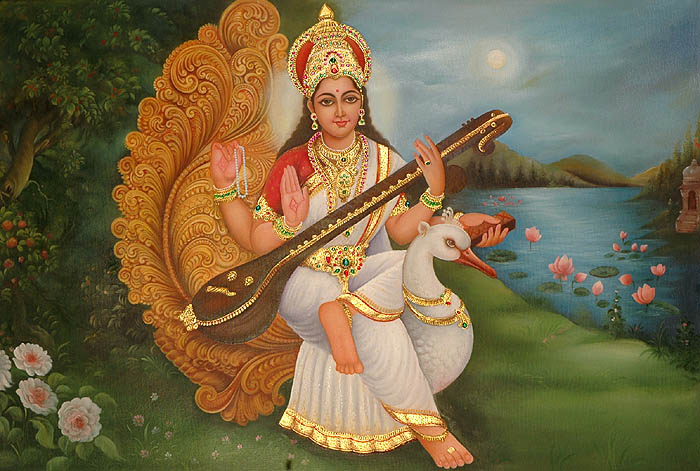 Today is Radha Saptami. This day is also celebrated as Surya Jayanti or birthday of Lord Sun. It marks the beginning of spring and harvesting season. Panchak is ending today which started on January 22, 2015. Panchak is referred to as a period of five inauspicious days in which any auspicious task cannot be performed. Venus Transit In Aquarius- Check Out The Effects Of Transit Of Venus In Aquarius! On January 23, 2015, Venus is transiting in Aquarius. How will it affect your zodiac sign? Know impact of transit of Venus in Aquarius from ‘’Pt. Deepak Dubey’’. Read Venus Transit In Aquarius (January 23, 2015) Effects Now! The planet of beauty, worldly pleasures, majesty and popularity Venus is transiting in Aquarius from Capricorn on the midnight of January 22nd and 23rd at around 02:01 a.m. (according to Delhi timings). Both Capricorn and Aquarius are signs of Saturn, who is a close friend of Venus. Mars is already posited in Aquarius, it means that Mars and Venus will come in conjunction after this transit. During this transit of Venus, small ups and downs will be seen in the prices of gold & silver. However, food products are likely to go up. Prices of land and property will also rise. Chances of an aircraft or train accident are there. Today is Vinayaki Shree Ganesh Chaturthi. Worship Lord Ganesh to gain his blessings on this special day. Today is Netaji Subhash Chandra Bose Jayanti. He was born in Cuttack on January 23, 1897. He took part in India freedom movement and played a major role in making it free from britishers. Mercury Retrograde In Capricorn - Check Out The Effects Of Mercury Turning Retrograde! On January 21, 2015, Mercury will turn retrograde in sign Capricorn. 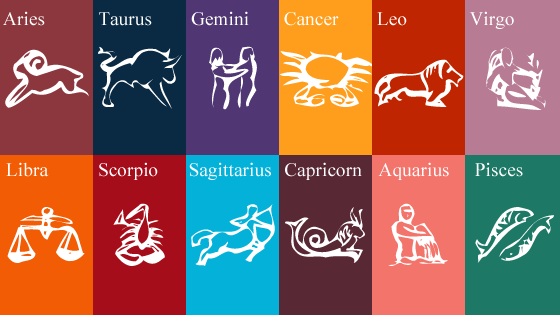 How will it affect your zodiac sign? 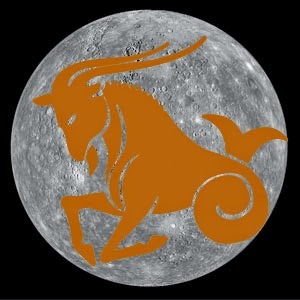 Know impact of retrogradation of Mercury in Capricorn from ‘’Pt. Deepak Dubey’’. Read Mercury Retrograde In Capricorn (January 21, 2015) Effects Now! 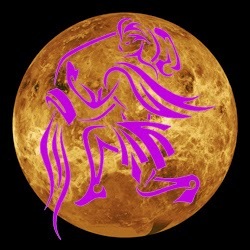 Mercury is residing in Capricorn since January 1, 2015,. However, it will retrograde on January 21, 2015 and will be like this till February 11, 2015. Generally, when a planet retrogrades, its effects also become opposite. This means that while being direct, where it produces auspicious effects, will turn into inauspicious and inauspicious results will turn into auspicious. Retrogradation of Mercury will put its maximum effect on your speech and intellect. Its negative effect will be observed by the natives of sign Sagittarius, Virgo and Taurus. Whereas, the natives of sign Leo, Gemini and Aquarius will enjoy its positive effects. AstroSage Quiz 23 Announced - Test Your Astrological Skills Now! AstroSage Astrology Quiz is back again with Astrology Quiz 23. Test your astrological skills with astrology quiz and shine on AstroSage Hall of Fame. Also, don’t forget to check out the answer of Astrology Quiz 22, which has been disclosed today. Quiz 23 Question: What is the profession of the native? Explain with reasons. Although, we got many answers, but we had to choose one winner with exact answer. The name of the winner is “Amit Chopra”. To know the names of all the participants, who have given correct answers, and the explanation of the answer, please click here - AstroSage Astrology Quiz 22 Result. Know how the coming week is going to be for your love life. Read future of your love for the upcoming week through “Pt. Hanumman Mishra’s” predictions. Weekly love horoscope is based on your moon sign. Due to workload, you might not be able to give enough time to your sweetheart in the beginning of the week. Try to take out some time for love, as you will miss him/her in the middle of the week. During that time, your partner may remind you of the starting of the week. Middle of the week looks good, but not the weekend. Try to improve your personal bond in the beginning of the week, as the relation might become weak. Don’t go out together on bike. Things will improve in the mid of the week, but workload might be there. Though work is also important, but don’t shed its frustration on your sweetheart. Weekend is going to be very romantic. Starting of the week looks good for love life. However, your partner might try to dominate you. Therefore, stay very alert regarding your relation. Your sweetheart might act stubborn over anything in the middle of the week. He/she might face any health issue. Love might intensify with a colleague in the weekend. Cancerians will cherish a favorable love life in the starting of the week. However, make sure not to pull leg of your partner in order to prove yourself superior. You will surely get love this time, but don’t double cross your sweetheart. Stay restricted in the mid of the week. Weekend looks good. Your far living partner might come back in the beginning of the week or might inform about the same. You might fall in love with a foreigner or someone living far away. Keep your ego aside in the middle of the week. Don’t argue over anything due to love and romance. Avoid doubting each other in the weekend and don’t take any kind of risk. This week looks favorable for matters of heart. You might meet your beloved in the beginning of the week. You will meet him/her with extreme passion and love. Midweek also seems favorable but, don’t rush into tiffs. Weekend is good; however conflict or health issue is possible. You are in the mood of going somewhere in the starting of the week. Make sure to keep an eye on the weather before stepping out anywhere, otherwise health of your partner might get affected in the mid of the week. You will feel worried then. Weekend is very favorable. Though things look great, but small tiffs are possible. This week is favorable. This is the time for recreation and fun. If you want to indulge in charity together, go for it. However, don’t argue. Avoid going to distant places in the middle of the week. It would be good to meet near home or at any friend’s place. Middle of the week is less favorable; however, weekend is better. You are expected to remain extremely emotional in the beginning of the week. Don’t argue over past issues, as it might spoil the personal bond. Don’t get into tiffs related to domestic or financial matter in the middle of the week. You might go somewhere out during the weekend. If planning to go for a movie, opt for an emotional flick. Your beloved might have to go away from you in the beginning of the week. If married, your wife might go to visit her parents or your husband might go on professional tour. You will be in a very romantic in the middle of the week. Your partner will value your feelings. However, stay away from giving unnecessary advice. Weekend looks happening. Aquarians will begin the week on an extremely romantic note. Relation will be quite emotional. However, stay alert if you are in love with someone who is not liked by your family. You might feel less contented in the middle of the week. You will spend maximum time with your sweetheart in the weekend. Beginning of the week will inculcate new energy in your love life. Though you will get less time for your partner owing to work commitments, but you will utilize that time beautifully. Either you will go to meet your far living partner or he/she will come to see you, in the middle of the week. You might turn emotional in the weekend. Today is Ravi Pradosh Vrat. Lord Sun will be worshiped today and fast will be observed to gain his blessings.